Want To Detox? Read This First! You can supplement your healthy eating with certain nutrients to support your health – but remember these should be used to “supplement” your nutrition, not replace it. The premise that our bodies need to be “cleansed” of toxins built up from our eating & lifestyle is not supported by scientific evidence. Restrictive detox diets, juice cleanses, pills, laxatives and liver tonics are popular because they offer an apparent quick-fix solution to poor eating choices and lifestyle habits. But you won’t find scientific evidence to show that detox programs actually eliminate toxins from our bodies. Why? Because our bodies detox & cleanse themselves. Detoxing is the job of your organs and “detox-diets” can not do this job for you. We have many in-built systems & processes that naturally eliminate “toxins” from our bodies on a daily basis. Our liver, kidneys and gut effectively make toxic substances harmless, converting them into products that can be released from our bodies through faeces, urine and sweat. So remember, its your organs that do the detoxing, not a special detox diet. Your body is not a trash can – you can’t just fill it with rubbish and then clean it out. Because our bodies are very effective at removing toxins on a daily basis, detox diets are not necessary, and can often do more harm than good. Most detox diet plans are just glorified starvation diets that result in a temporary, water weight loss, and even muscle mass loss. If you have ever tried a “detox” diet, you may have experienced symptoms such as tiredness, headaches, stomach & bowl upset & bad breath. These are often claimed to be a signs your body is getting rid of toxins but it’s actually just your body showing signs that you haven’t eaten enough carbohydrates. If you do try a detox diet & it makes you start eating better, than that’s great! But if you actually want to improve your health, you will need to make eating & lifestyle changes that go beyond the few days or weeks of a detox program. 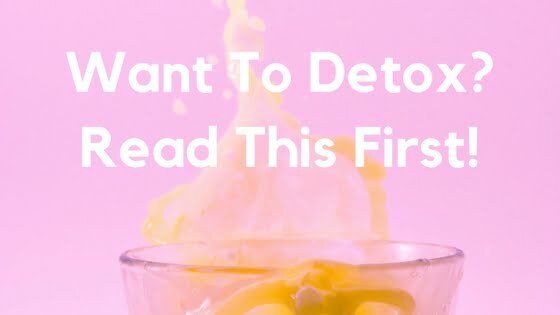 So What Should You Do Instead Of A Detox? 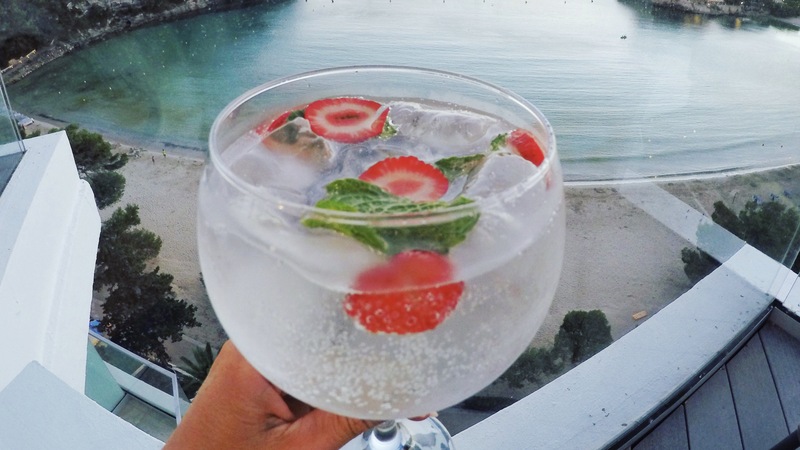 Remove toxins from your diet & lifestyle – this includes alcohol & Tabaco. You can also eliminate highly processed foods such as processed meats & opt for plant-based protein foods (see my article here for alternatives) and highly processed sugary foods like softdrinks, energy drinks etc. Eat unprocessed, healthy foods – vegetables, fruit, lean proteins like fish, legumes, lentils, beans, nuts, seeds and foods containing fibre and pre & probiotic fibre for gut health. Cick here to find out about the different types of fibres and sources of them for optimal gut health. 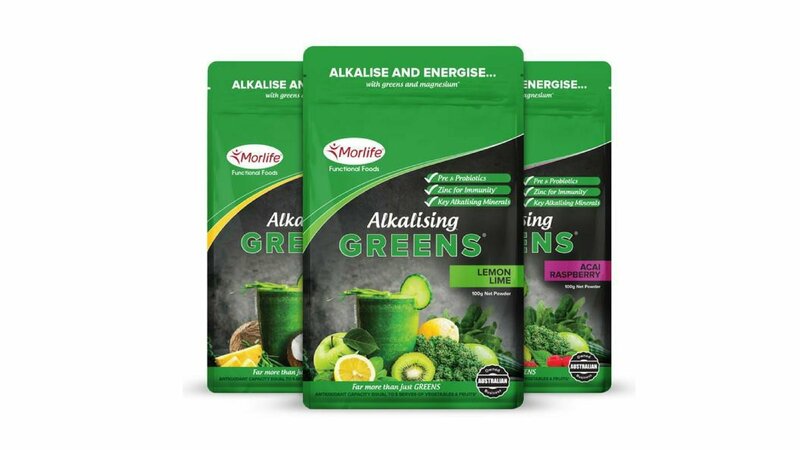 Use a supplement fortified with key nutrients and pre & probiotics to supplement (not replace) your nutrition when needed – I love using MorLife Alkalising Greens. This supplement can come in handy when you run out of fresh fruit & veggies at home before you do the next food shop, when you’re travelling and can not access fresh fruit & veggies or after you’ve had a bingey and boozy Christmas New Years. It contains a range of plant-based greens & is fortified with key minerals including calcium, magnesium, potassium and zinc, as well as prebiotic fibres & probiotics to support healthy gut functioning. The prebiotic fibre used in MorLife Alkalising Greens is inulin, a soluble fibre that absorbs water to slow digestion, increase fullness & promote good digestive health by increasing the number of good bacteria in the gut particularly Bifidobacteriaand Lactobacilli (these bacteria help fight off unwanted pathogens, prevent infection & stimulate your immune system). This enables your body to better absorb nutrients from the food you eat!I also love MorLife Alkalising Greens because they taste amazing! They come in three delicious flavours – Acai Raspberry (my personal favourite), Pineapple Coconut & Lemon Lime. This is perfect because if you don’t like the flavour of certain fruit or veggies in your smoothies, you can add some MorLife Alkalising Greens to mask the flavour so you can enjoy the extra nutrition. Shop the flavours here. Sponsored Content: This article is proudly sponsored by MorLife. All opinions are my own and not influenced in any way.